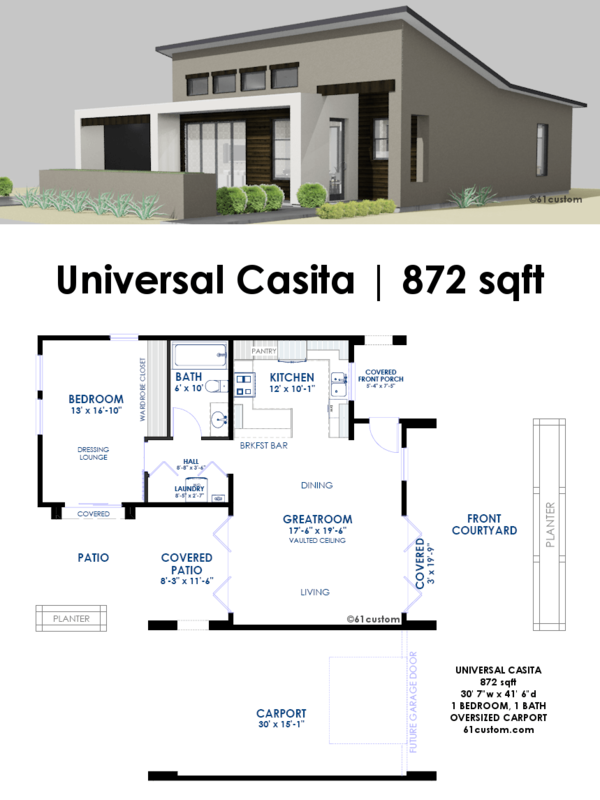 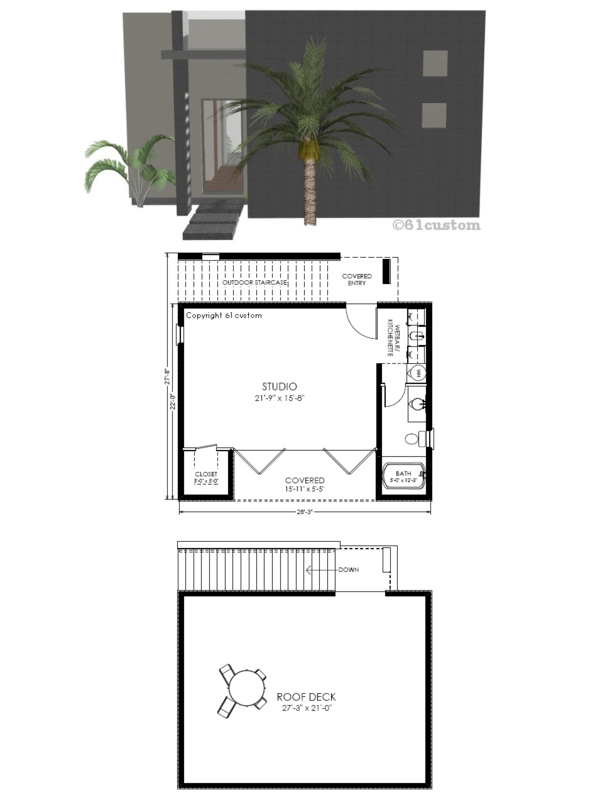 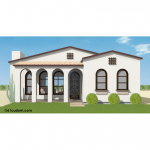 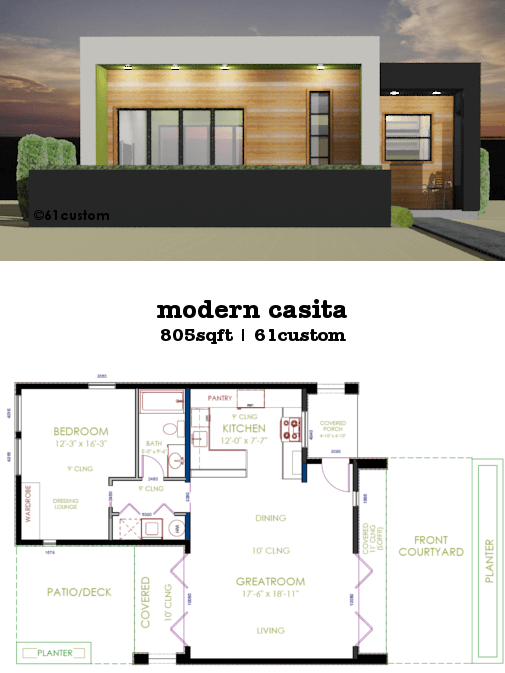 The Small Spanish Contemporary house plan is a 1301 sqft single level home with two bedrooms, two baths, a home office, and a large, open concept living, dining, kitchen space. 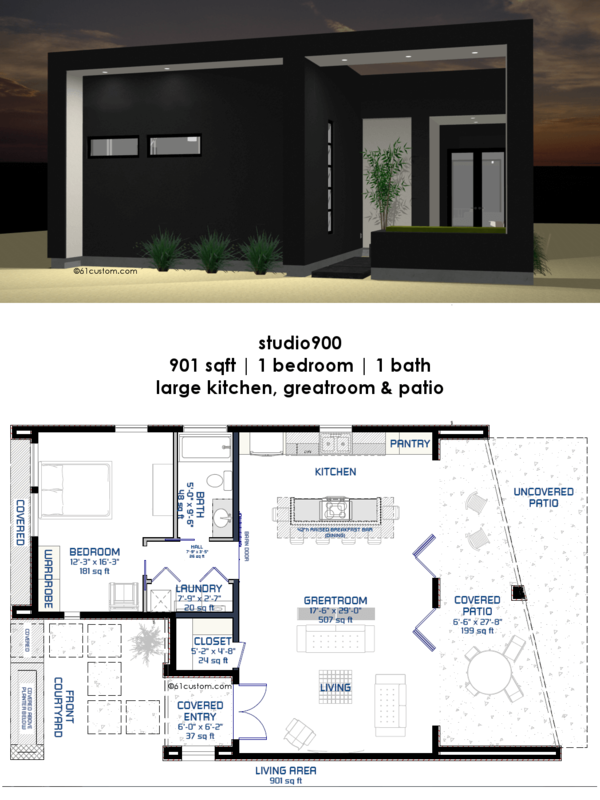 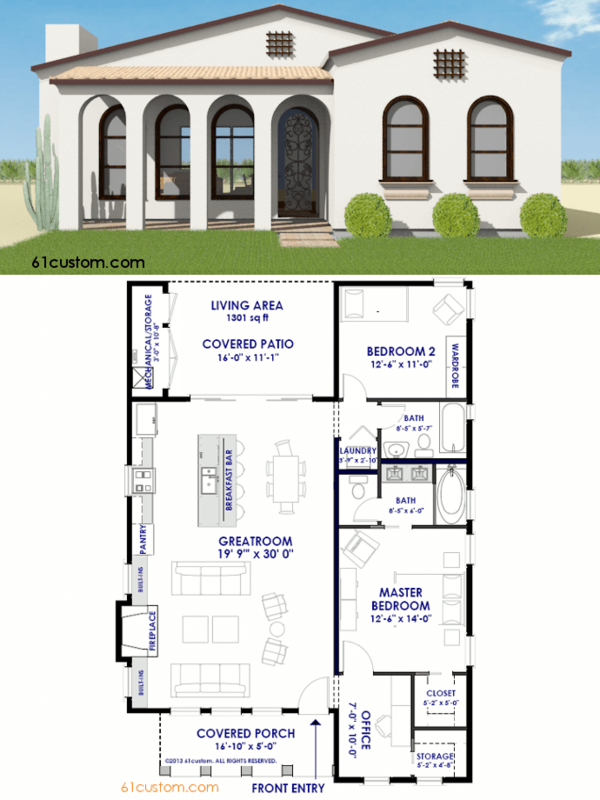 The Small Spanish Contemporary house plan is a 1301 sqft single level home with two bedrooms, two baths, a home office, and a large, open greatroom-kitchen space. 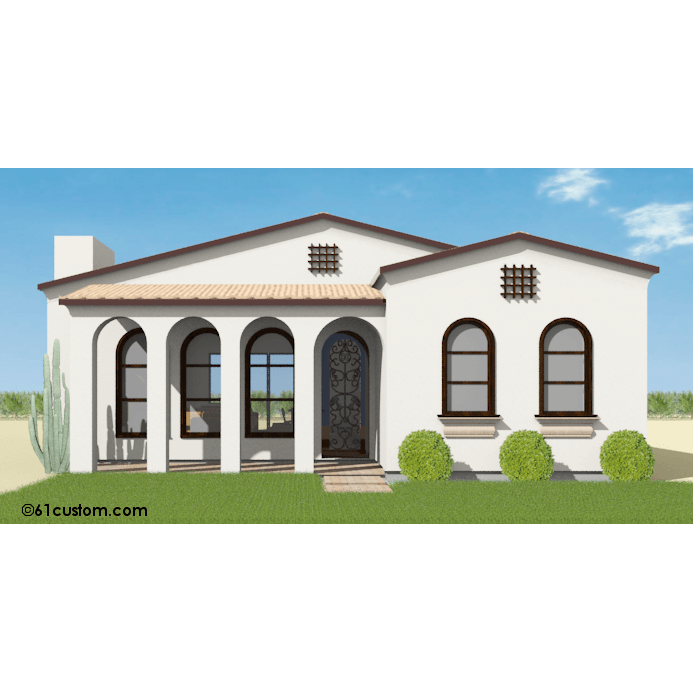 The front of the home greets guests with a charming front porch and wrought iron door. 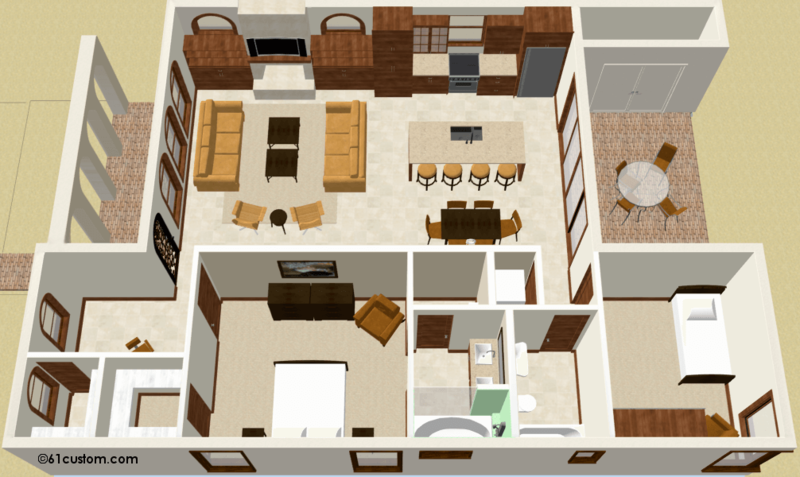 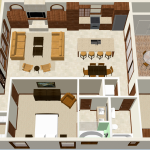 The split bedroom plan offers a spacious master bedroom with walk-in closet and master bath with dual sinks and oversized soaker tub. 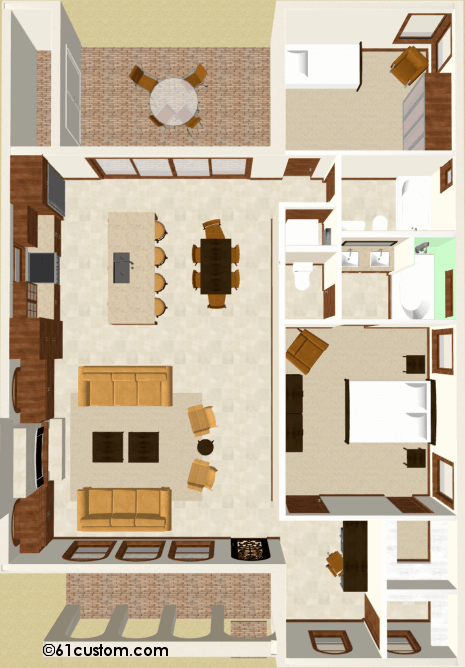 The greatroom is perfect for entertaining with plenty of space for seating, a fireplace with pre-wiring for a flat screen TV above, and built-in shelving for storage. 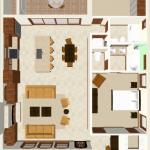 The kitchen has a large island with breakfast bar, dining space, and a 12′ sliding door that opens to a covered patio.